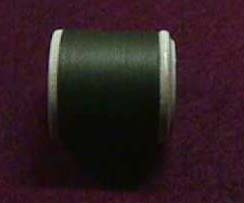 This is a roll of Olive Drab (green) thread. It contains 80 yards of six cord thread. 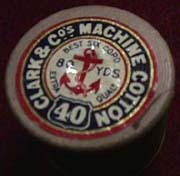 It was manufactured by Clark & Cos Machine Cotton. It comes on a wooden spool. 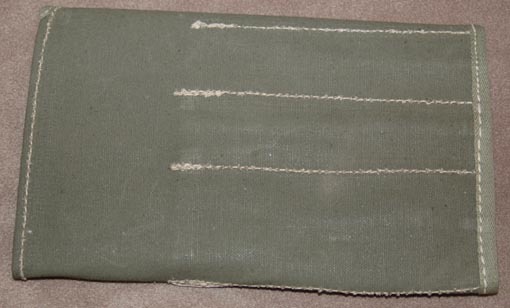 This would be great for the re-in-actor or anyone with wanting to sew something on a WWII uniform while keeping it as period as possible. 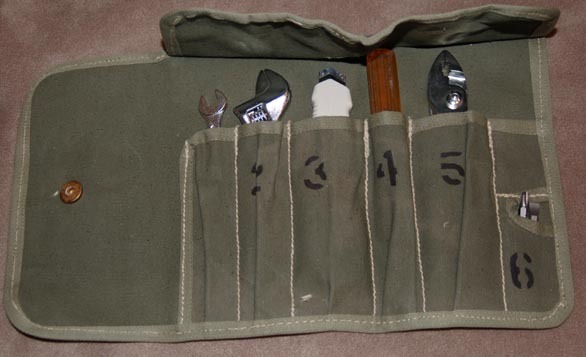 This is a WWII era tool roll. It has slots for 7 items. 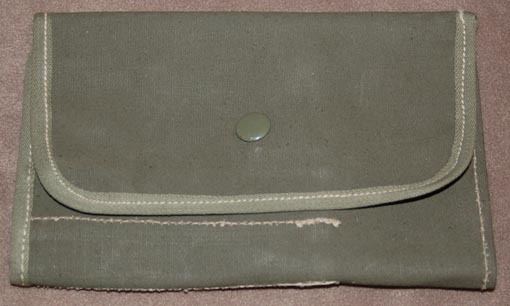 It is made out of a heavy olive drab canvas with white stitching. It closes in the front by means of a heavy duty snap. I do not see any dates marked. These were never issued and are in great shape. They only show a bit of storage wear. 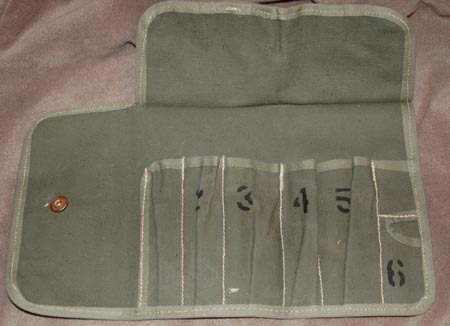 Great as a WWII collectable or can be used for storing a few tools in your car or boat. Measures approximately 5 3/4 inches by 8 3/4 inches folded closed. NOTE- Tools are not included. This was a neat little find. 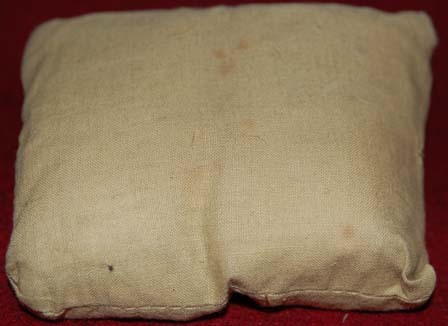 A cloth packet sewn together containing two field dressings. 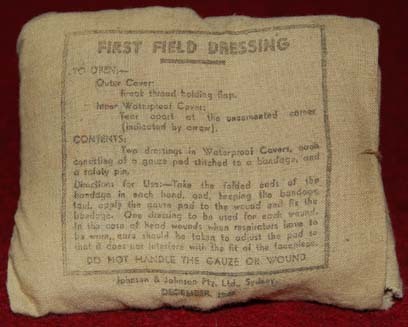 The front of the packet contains instructions on how to use the enclosed dressings. It also states- Contents: Two dressings in Waterproof Covers, each consisting of a gauze pad stitched to a bandage, and a safety pin. Each cloth packet is sewn together. Some have some minor staining from 65 years of storage wear. I have a few of these, so the one pictured may not be the one you get. All are in comparable condition. These are dated December 1942 and were made by Johnson & Johnson. A piece of WWII history that will not break the bank.